Thank you for your support! 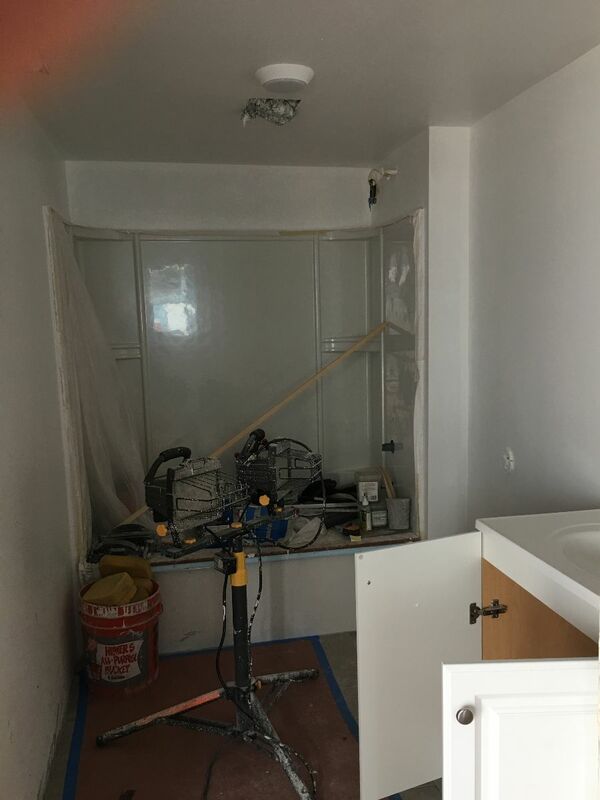 The purpose of this e-newsletter is to keep donors and interested volunteers from Venice Free Methodist Church informed about the Habitat LA project in Culver City. ***** Habitat LA Crew Leaders needed! 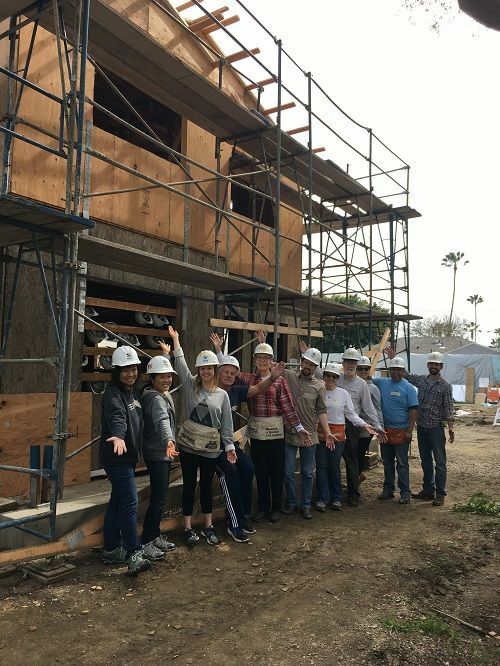 If you or someone you know has construction experience and would like to join Habitat LA's Volunteer Crew Leader team at the Culver City site, please email Chris Untiet at chrisu@habitatla.org. Crew Leaders go through a training and work under the supervision of Habitat staff to lead volunteers to complete a variety of construction tasks. Habitat LA and all of its volunteers continue to make progress in spite of the recent rains. Patience House now has a second floor and a roof. 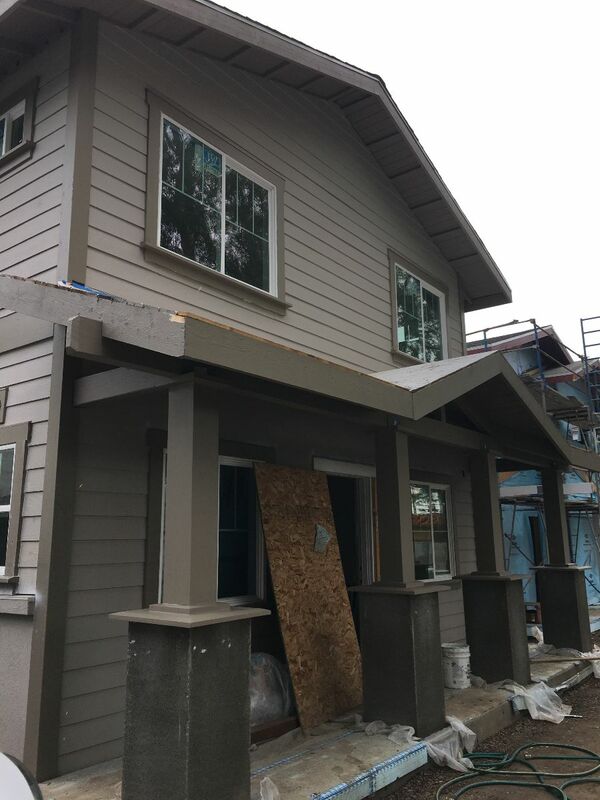 Houses #1 and #2 are expected to be finished by early spring 2019. Houses #3, 4, 5, and 6 (Patience House) will be finished by late summer. Foundations on the 4 remaining houses will begin during the summer as well. Thank you to Bill and Denise Pike, Ruth Rubke, Denise Huang, Catherine Matsuda, and Lynn Namba for serving lunch to the volunteers, crew leaders, and staff during our Friday, March 1 build day. Emiko Kuwata, Gordon Yamamoto, Evelyn Baker and her friend Justine represented Venice FMC and joined with other volunteers from our Westside Church Coalition to install windows, cover roof tops, paint and assist with other construction work. Habitat LA and all of its volunteers have made a lot of progress at the Culver City site. As you can see from some of the pictures taken at the October 6 build day, several houses now have second floors. Volunteers have been framing roof tops, installing insulation, and painting window frames. What a difference a month makes! Praise be to God! From the bare foundations to first floor walls, much progress has been made at the Habitat site. To kick off the build, pastors and leaders from the sponsoring groups came out on June 6th to pray over the site, the families, and the volunteers who will buidl the homes. On June 8th, Habitat LA hosted the "Hollywood Industry" Build Day and on June 9th the "Power Women, Power Tools" event. As a result of these cvolunteer efforts, the first floor walls are now in place. Volunteers were encouraged to write notes and prayers to the families on the wood beams. The Westside Church Coalition will send out its first team of volunteers on July 7th. The Coalition sponsored House #6 which will be the future home of the Mulvihill Family. We often have volunteer cancellations. If you would like to be contacted to fill one of these spots, please sign up to be on our "On Call Builders" list on the sign up site. The Coalition named the house it is sponsoring "Patience House" due to the long time it has taken for the project to reach this stage. However, the delays have turned into opportunities for dialogue, fundraising, and deepening relationships among the participating churches. Habitat LA chose the Mulvihill Family to be the new homeowners of Patience House. Kaoru and her sons, Ryan, Mason, Trent and Kendall are active at Westlight Community Church and are familiar faces to many at Venice FMC. We look forward to working side-by-side with them to build their new home.